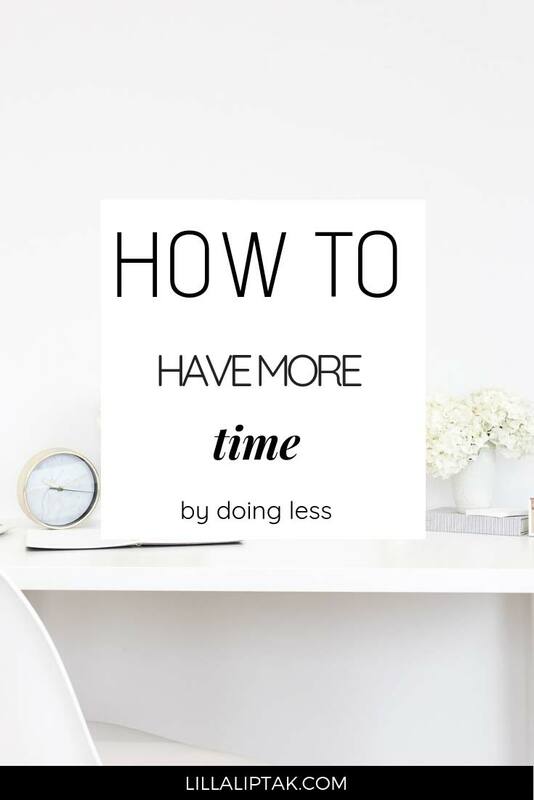 In this post, I want to share with you how you can have more time by doing less. In particular how you can save 182,5 hours per year by using digital media consciously. The inspiration for this post came to me by listening to an Austrian podcast about productivity. The podcast inspired me to look into my own life and see where I and also you could eliminate unnecessary things in order to save time. 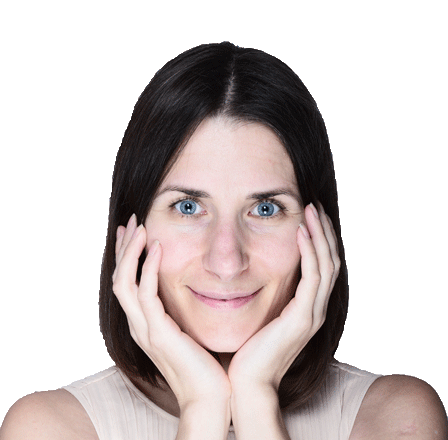 I share with you 3 common time wasters you most likely face too and how to deal with it to have more time. We all change over time and what was interesting yesterday might not be interesting today anymore. Which emails do I currently read and need in my life? You might be subscribed to a bunch of newsletters which aren´t relevant to you anymore. When I started to learn about blogging I subscribed to a lot of how to start a blog newsletter. I soaked up all the information, bought books and courses and implemented the strategies I learned about starting a blog. Meanwhile, my blog is up and running and I don´t need and I don´t read these how to start a blog newsletter anymore. It´s good to get off the list asap for 2 reasons. You might miss an important email if your inbox is flooded by newsletter subscriptions you don´t read anymore. Here again, I talk out of an experience. Last year my brother reached out to me via email and his email went down in the sea of newsletter subscriptions. I learned to unconsciously scan my inbox and ignore the emails I don´t need. BUT sometimes an important email might be between them and get lost. If you are like me, someone who gets easily distracted by things it´s better to keep it simple with the inbox too. Focus on what really matters in order to get things done. I subscribed to a lot of interior design newsletters in the past before we moved to our new home and kept on getting their emails long after we`ve moved in. Once in a while I checked out their offer and bought something because they were cute or beautiful even though I didn´t need them. These emails distracted me and I spent money on things I didn´t need. The tv and newspaper live from distributing negative news. About war, death, catastrophes, political failures and so on. Even if you might have given away your tv, as I did 10 years ago, the negative news will still reach you through websites, radio, and social media. Why does the media focus on distributing negative news? Our brains pay more attention to negativity because its wired to be risk and pain averse. The simple reason, therefore, is to keep us safe and alive. Newspaper, magazines, and news in the tv make use of this fact and emphasize the negative things to keep us soaked in. By reading or listening to these negative news our brain starts to focus on the negative, magnifies the risk and wants to find a solution. Our thoughts start to spin around the negative news we saw or heard for several minutes. The problem hereby is that it takes a while for our brain to refocus our attention once our mind is caught up in finding a solution to the problem. Especially in the morning, it´s very important to take care of how we start our day. The first few hours of the day are most likely to influence the rest of our day. Instead of exposing yourself to negative news in the morning you can create a positive morning routine. Listen to an uplifting, educational podcast instead or start a GRATITUDE JOURNAL. Both will motivate you and move you towards a good mood. You will be better in creating something when your mind is relaxed and when you are in a great mood. This way you will also be more focused and productive & can deal with your upcoming tasks in a more effective way. Do you like to just mindlessly browse through Instagram, Pinterest, and Facebook? Me, too and it´s nothing wrong with it. There is, however, one fact I want to point out what happens whenever we are doing so. You and I, we lose time. Precious time we could use for pursuing our passion and reaching our goals. Whenever I had a little spare time I used to hop on Facebook and browsed for hours without a reason, without a purpose. Especially during my time as a student. The timeline, notifications, group activities, what my friends are up to, hopping from blog to blog I discovered through Pinterest all seemed to be so worthy of my time. Some were and some weren´t. This habit crept in slowly into my life over the course of the last past years. Looking back I´m sure that I spent several months just by browsing social media without any goal. It´s great for the reason that sometimes we learn here and there a nugget of wisdom. However, if you want to get it more under control you could set yourself a timeframe every day so you don´t lose unconsciously hours and hours per week just by browsing social media. You can also ask yourself why you want to browse through social media and set a purpose before you hop on. The purpose could be to connect with friends, to ask a question, to share something inspirational or to help someone out by giving an answer to their question. I presented 3 possible scenarios you can save time every day by reducing or skipping them. And now let´s do a little math together. Imagine for #1 that you check your emails daily and are getting distracted by unimportant emails every day for just 10 minutes. Project these 10 minutes onto a week = 70minutes / week. Projected onto a full year and you have spent 60.8hours just by 10 minutes for unimportant emails per day. For #2 and #3, we can make the same math. Letting your mind caught up in thoughts around negative news for 10 minutes per day just because you exposed yourself toward negative news. Add 10 minutes of clueless browsing on social media per day to your calculation. Now count 3x 60.8 hours. In total you are spending 182,5 hours per year on these 3 unimportant activities you can easily eliminate. This is more than a week per year, which you could invest in your health, well-being or personal growth instead. Delete unnecessary emails from your inbox and unsubscribe from all newsletters you don´t find valuable. Choose what serves you best and ditch the rest. Avoid negative news and focus on the positive especially in the morning hours to start your day with a fresh mind. Avoid clueless browsing on social media. Set yourself a time limit. Go on social media with a purpose. To connect with your friends, to post something inspirational for others, to ask a question, to contribute something meaningful to others and then log out. Now I would like to know what are the 3-time wasters you could eliminate immediately to gain more time?